Since you’re reading this article, it’s safe to assume that you are a fan of Joomla. So, I’ll skip that part. I’d rather focus on familiarising you with the greatest page composing tool in the history of Joomla! It’s none other than SP Page Builder. 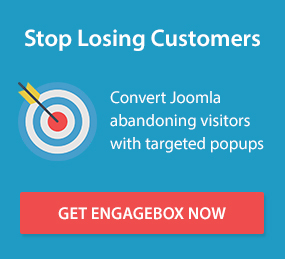 The King of Joomla page building tools! The silent guardian, a watchful protector! You probably already know what a page builder is, but I feel like a little introduction is needed. A page builder is a tool using which you can create a website (web pages to be precise) with little to no coding knowledge. SP Page Builder does almost everything opposite to the scary conventional web developing method. It’s a drag and drop page building tool that makes it possible to build web pages visually right in front of your eye. More importantly, it enables you to create web pages with a brilliant design without having to hire a designer. By now reading the introduction, you’d probably be thinking that it’s too good to be true and I’m bragging about it. Then let me tell you this, you have mistaken my friend. I am not stretching a bit. Keep reading till the end of this article to know why SP Page Builder is the rightful ruler of the Joomla Kingdom. Let’s dive in. One of the most powerful features of SP Page Builder is its ability to do unbelievable things from the frontend. No page builders, nor anybody did believe that it would be possible to create, edit, or even delete Joomla pages right from the frontend! But then there is SP Page Builder, using which you can do such an impossible task in just a blink of an eye. After creating a page, there comes this mandatory task to assign the page to a menu item. SP Page Builder makes it possible to assign a new page to a menu or even an existing one which has already been assigned to a menu,	to be linked as a new menu item using the “Add to menu” function on the frontend. Hence you can take literally 100% control over a web page. By using SP Page Builder, it is possible to create a Joomla article. Not just that, you can use all the add-ons and other functionalities of SP Page Builder inside any Joomla article. What’s more interesting, when an article is created with SP Page Builder, you don’t have to go back to the backend of your website when you need to make any changes to that article. All the changes can be made right from the frontend. A layout bundle is a collection of pages that a template should have. You can think of them as a slight alternative of templates. A bundle comes with pages like Home, Team, About, Contact or more depending on its nature. Therefore these bundles are almost like a complete website. You just need to click on the import button in order to use them. SP Page Builder currently has 45 layout bundles and 90+ page layouts whilst more are being added constantly. Copy pasting has been the world's’ greatest invention in my point of view. The depth of its necessity and usability is beyond measurement. SP Page Builder brings this super-efficient feature in visual page building. You can quickly create complex layouts by duplicating existing rows, columns, and addon arrangements. Or, copy any elements of a page and paste it into the desired position. This feature is a real life saver. With SP Page Builder, you can export any pages and save them for later use. This is not just a time-saving well-suited feature to enjoy. If you’ve exported any page and later messed up (god forbid that doesn’t happen) you can always import that page and lead a happy life. When building a web page, quite often you’ll find yourself doing the same modifications again and again. It is very time consuming and at times it gets boring. To save you from that trouble SP Page Builder brings the library system. Which allows you to save your modified add-ons and rows to the library and use them later as many times as you want. The time to amaze you with gradient effect is long gone. With the Blend mode in its pocket, SP Page Builder has no limitation to turn an ordinary row, column or even just an addon to a very stylish eye-catching one. The Blend mode enables you to create those Instagram like filters right here in SP Page Builder without having to leave the tool for a second. Not only that, you can see everything happening live as you make changes. SP Page Builder offers Joomla Article, K2 and J2Store integration. Create K2 items flawlessly with visual effects. Built e-Commerce sites with J2Store and decorate with SP Page Builder. It can also be used as a Joomla module anywhere on your web page. With SP Page Builder, everything you design and every web pages you create are and always will be 100% responsive regardless of the device type. You can switch to different devices and see how it looks and can make modifications as per your requirements for that type of device. Even when you would need to create super complex layouts and structures, you’ll experience the mighty power of SP Page Builder of creating those effortlessly. You can create your desired row structures, create nested rows inside them, and play with columns with device-specific requirements. The production mode enables all the CSS code generated from addons of a certain page to be stored in a separate CSS file. Thus making your website to load a lot faster. The flexible padding makes it possible to adjust padding visually without having to put pixel values blindly. Simply drag and adjust the padding for both vertical and horizontal sides. Inline editing is another revolutionary feature that you’d find in SP Page Builder. It’s no wonder why they claim that everything can be done right from the frontend using SP Page Builder. This feature enables you to change text, set text alignment, text formatting (e.g. bold, italic, underline), and add links to texts. It’s an extremely handy feature to speed up your development time. It is not common that you’d stumble upon a group of exceptional add-ons in a Joomla page builder. For instance, Slideshow addon is one of the most powerful and unique addons in the Joomla world, SP Page Builder introduced it in a recent version. Add-ons like Article Scroller, Animated Heading, Image Overlay, Price List and Open Street Map are in its bucket too. Its 50+ addon collection offers diverse functionality and provides everything you need to build a stunning website. To state the difference in one sentence, SP Page Builder (Free) version is for light use only, you can use it when creating a basic website. On the other hand, for heavyweight work, SP Page Builder (Pro) is your solution, you can transfer your imagination into reality when developing a site with SP Page Builder Pro. For a feature to feature comparison, visit the official web page. After using SP Page Builder you would be able to relax and tell yourself for the first time that - “money spent well!” But if you still think it’s too much of a risk, then the free version of SP Page Builder is always there to get you started. In this article, I stated some facts about SP Page Builder. I’ll leave the rest to you if you’d go for it. At the end of the day, you are the king and the decision is yours. Don’t forget to share your experience in the comments below.